Comment: I would like to get an estimate for having my carpets cleaned. Comment: I need 2 (10x10) bedrooms cleaned and perhaps the (10x16) living room on Sunday, March 31st because that's when the apartment will be vacant. Moving out on the 30th. Comment: We have 2 bedrooms and a set of stairs that need a deep clean. Carpets have not been cleaned in 10 years. Tenants will have moved out. We are also looxxxx for someone to clean the grout in the shower. Do you do that too? Comment: I have two 6x10 rugs and a small (2x4?) one. All have small pet stains. I can deliver and pick up. Comment: I need an estimate at a residential property. I need an estimate on carpet cleaning. Stairs and bedrooms. Gloucester Carpet Cleaning Services are rated 4.62 out of 5 based on 293 reviews of 9 pros. 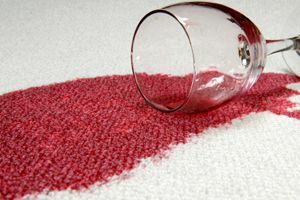 Not Looking for Carpet & Upholstery Cleaning Contractors in Gloucester, MA?